Great food and memorable service are likely the first factors you think make or break your dining experience, though interior design can play just as significant a role. Besides making beautiful Instagram posts, unique décor makes us want to linger longer, order dessert or another drink, return sooner. 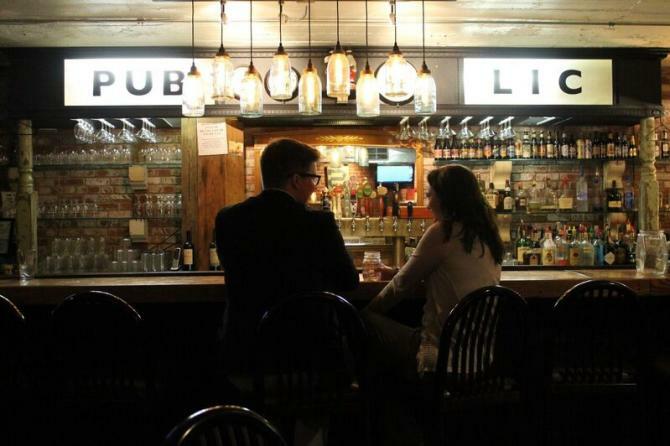 If you’re planning a meal out, try one of these Wichita restaurants with interesting interior features. 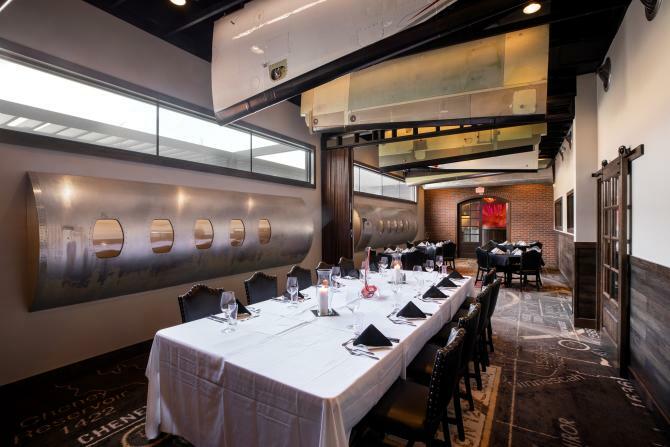 Airplane enthusiasts will want to check out the Aviation Room in the front dining space at one of the city’s most legendary fine-dining restaurants. The room features authentic parts from general aviation’s most iconic brands, built here in Wichita: pieces of a Cessna Citation CJ4 fuselage and wings from a Beechcraft Bonanza, Beechcraft Baron and Cessna Citation CJ3. A custom carpet shows a navigational map of the Wichita area and is FAA-approved. 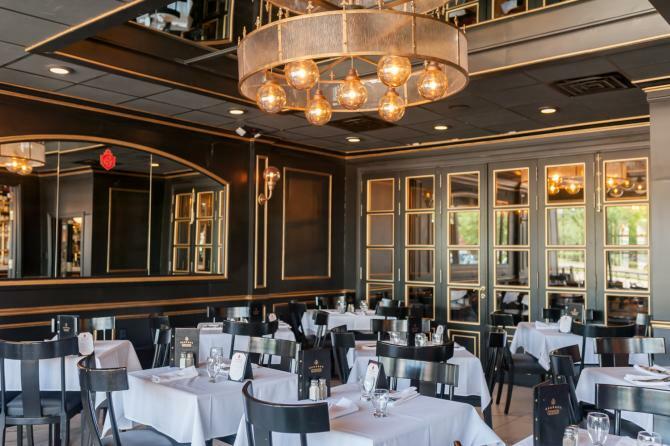 The colors and materials used on the interior of this popular lunch and dinner spot will transport you to a Parisian French bistro, and Georges even has a retractable glass door that opens the front of the restaurant to the sidewalk seating area. 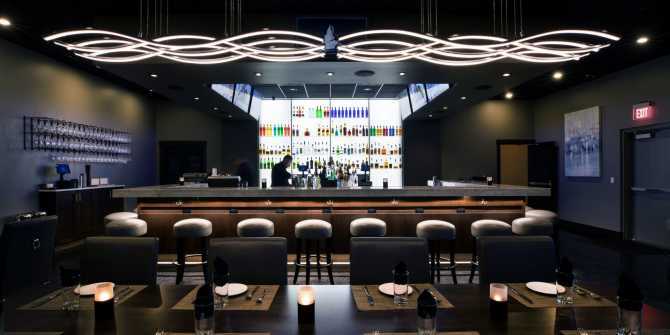 The restaurant at the DoubleTree by Hilton Wichita Hotel underwent a $2.7 million renovation and reopened in 2018 as this authentic beef house experience. 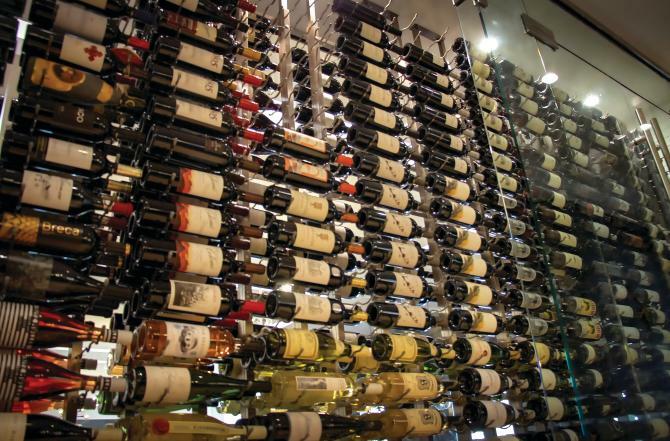 Among the highlights of the modern décor is a 15-foot-tall wall of wine with 1,000 bottles and 300 different selections. A visit to this classic American steakhouse becomes a memorable dining experience with its unique décor. 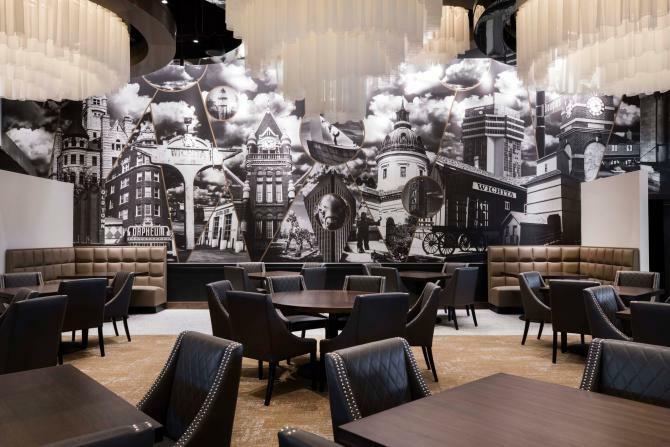 The main dining room includes custom-made circular chandeliers and a dramatic 46-foot mural commissioned by local artists that depicts iconic Wichita sites. Just off the main dining room, diners can choose a private booth that offers drapes for privacy. 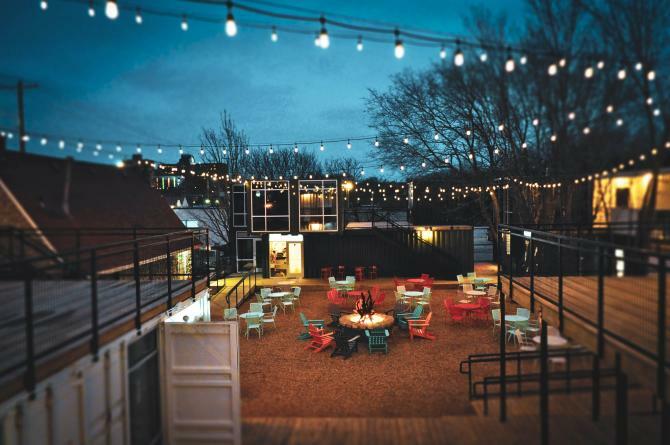 Dinner or beer in a shipping container anyone? You’ll say ‘Prost’ if it looks like this restaurant’s two-story second level. There are floor-to-ceiling windows allowing plenty of natural light and the ceiling is lined with colorful flags from Germany’s 16 states. This eatery run by a German native is an anchor at Revolutsia, an open-air shipping container development. Adjacent to a distinctive outdoor music venue, Public at the Brickyard is known as much for its menu full of craft beer and dishes made with local ingredients as its cool setting: the bottom floor of a restored 1916 warehouse where Wichitans once made caskets. 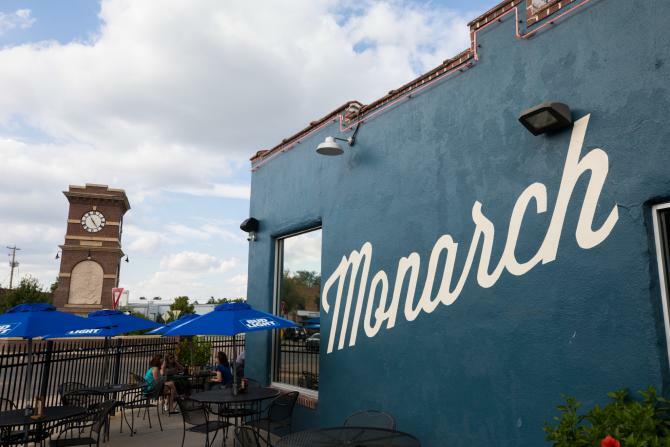 We love the massive garage door at Monarch that opens up to patio seating and an awesome view of the Delano District roundabout and its iconic clock tower. 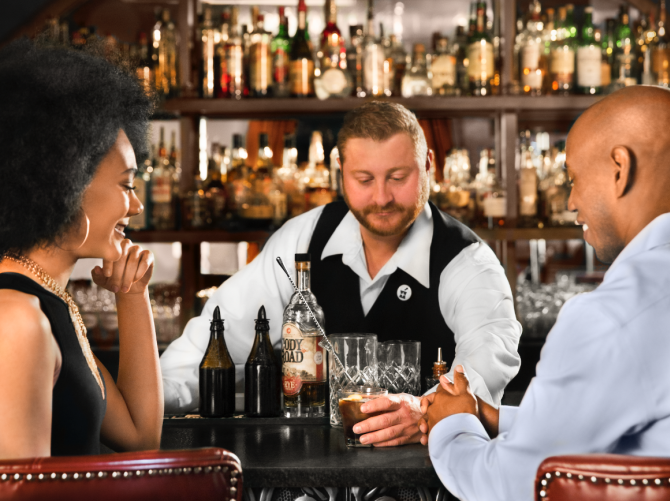 It’s a great place to sit for a while and enjoy a good meal or a drink from the bar, which offers the largest craft bourbon and whiskey collection in the state of Kansas. Make your way to this subterranean speakeasy-style bar beneath the Ambassador Hotel Wichita to escape to another time and place. You’ll find an exclusive lounge vibe and expertly handcrafted cocktails. As you’re enjoying dinner and waiting for the show to start, don’t miss the hand-painted murals with a Kansas theme. One of the owners has painted sunflowers, state animals, birds and insects on the walls throughout the theater known for its hilarious audience participation productions. 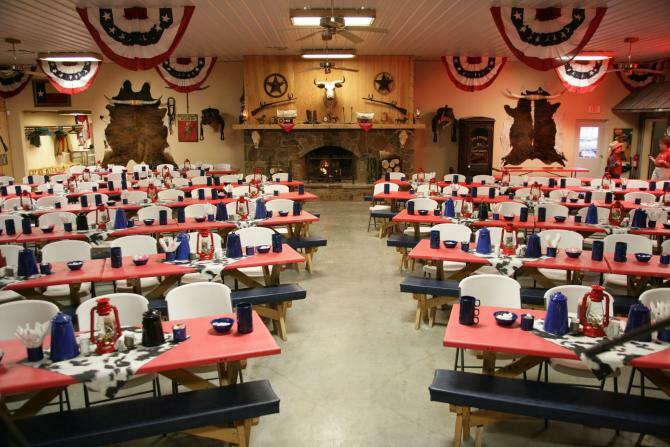 It’s all western here at the Prairie Rose – from the lip smackin’ all-you-can-eat barbecue to the sounds of the world-famous Prairie Rose Rangers or visiting western stars. And you’ll be surrounded by 3,500 square feet of cowboy décor inside the Prairie Rose Opera House. 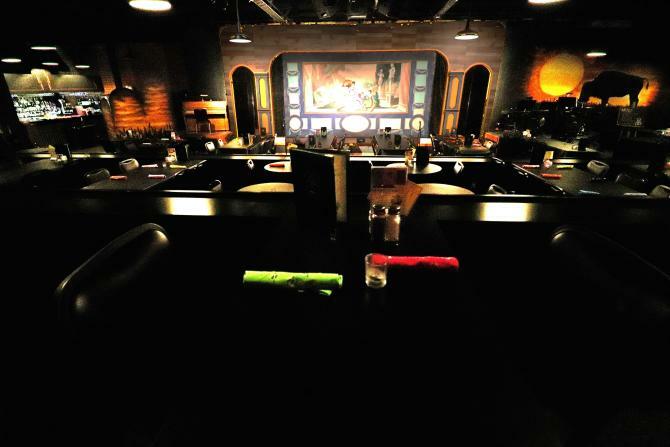 Enjoy dinner, drinks and a wide variety of shows presented in this intimate cabaret style theatre. 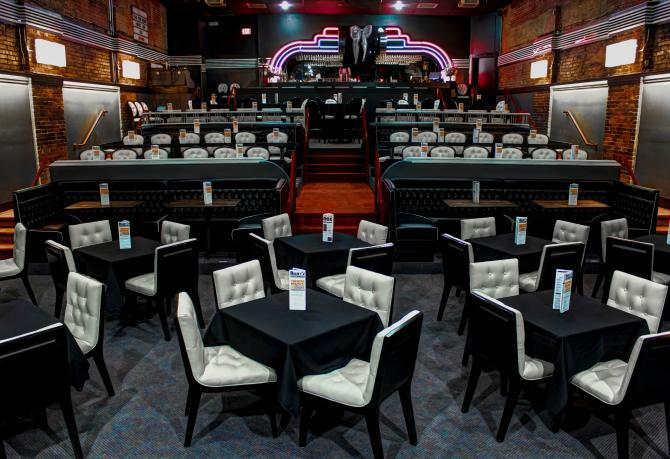 The historic venue has been refurbished to a new standard of comfort with tables, booths and plush seating on three tiers. Enjoy a romantic and nostalgic atmosphere in an Art Moderne palette. Explore our website to learn about more of Wichita’s 1,200+ restaurants!